Plaid is extremely mathematical, making it extremely charged, bold and dynamic. Historically woven into wool garments, today these plaids are a fashion statement with a variety of colors and fabrics. Flannel fabric with plaid is truly a modern day favorite. 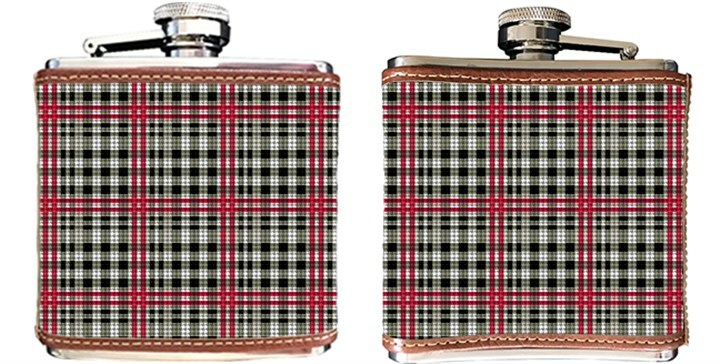 This plaid flask makes for a traditional and modern statement, all on the same piece.